Online activist Hassan Al-Basham has allegedly been tortured in detention in Oman recently, according to reports received by the Gulf Centre for Human Rights (GCHR). In addition, another online activist, Hilal Al-Alawi, was summoned and is being held incommunicado. 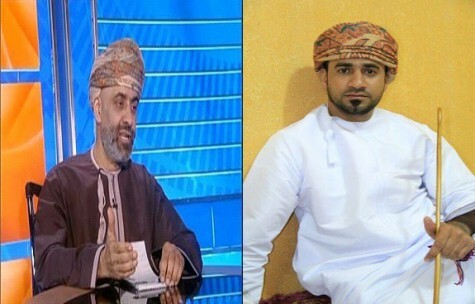 On 17 September 2015, Al-Basham was first arrested by the Internal Security Service (ISS) and appeared before the Special Division of the Omani Police in Sohar. He was released on 23 September 2015, and then arrested again two days later, on 25 September 2015, and subjected to a prolonged interrogation at the Special Division in Sohar. On 29 September 2015, he was transferred to Sohar hospital after he suffered partial paralysis in his face. Reliable reports have suggested that Al-Basham was subjected to torture at the hands of the employees of the Special Division of the Omani Police in Sohar, which was recently opened and represents the executive arm of the ISS. He was reportedly tied to a chair during every day of his detention. Also, they prevented him from sleeping and then allowed him to sleep on the ground in a cell where his health deteriorated, which immediately required him to be transferred to Sohar hospital for treatment. He stayed in the hospital for a short period. However, he still continues to go from home to get the necessary medical care. Al-Basham is an online activist who in his numerous writings has defended prisoners of conscience. He also carries out other activities on social and humanitarian levels. He participated in the 2011 protests during the Arab Spring, which in Oman focused on improving social conditions such as calling for more jobs, as well as combatting corruption. In a separate case, on 29 February 2016, human rights defender and Internet activist Hilal Al-Alawi was summoned for interrogation before the Special Division of the Omani Police in Sohar, where he was held incommunicado. There is no official information available about his whereabouts as he is not allowed access to his family or lawyer. However, information received indicated that may be detained in the cells of the Special Division in Sohar. Reports confirmed that his arrest is linked to a clip he published on WhatsApp on the anniversary of the outbreak of protests in Sohar which he encountered on 26 February 2016. On 23 August 2015, Al-Alawi was arrested and then released on 31 August 2015. He was detained incommunicado at the Special Division in Muscat. He was also arrested in 2011 in relation to Sohar protests and sentenced to five years in prison after being charged with allegedly “forcing the civil servants out of their offices.” He was released after two and a half years through an amnesty by Sultan Qaboos. He is a popular human rights figure who, while in detention, started many hunger strikes and sewed his mouth shut many times with a needle and thread. Al-Alawi is a well-known human rights defender, Internet activist, and blogger. He has continued in recent years his online activities in defence of detained human rights defenders and prisoners of conscience. GCHR expresses serious concern at the reports that the ISS has allegedly tortured Hassan Al-Basham, and about the incommunicado detention of Hilal Al-Alawi. In addition, it appears that the new Special Division of the Omani Police in Sohar is being used to target human rights defenders and Internet activists, which infringes upon their freedom of opinion. GCHR believes that these actions form part of an ongoing trend of targeting human rights defenders and online activists, which endangers freedom of expression in the country.